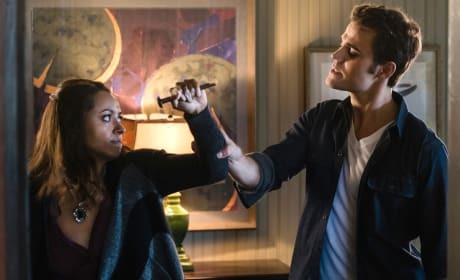 These two can really find happiness under the most horrible of circumstances. 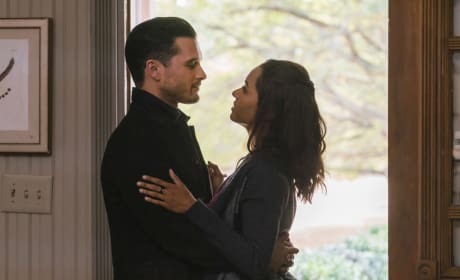 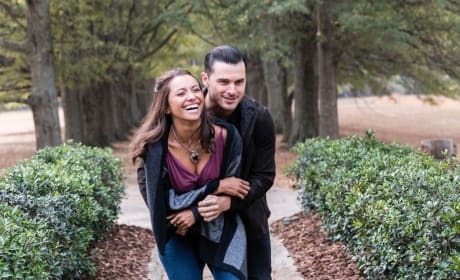 Bonnie and Enzo are, like, the cutest couple in The Vampire Diaries history. 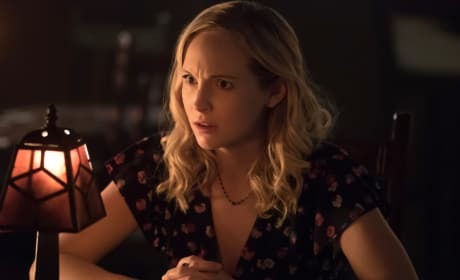 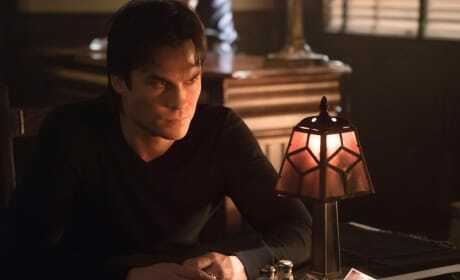 Is Damon telling poor Caroline about Cade saying that she could be dying? 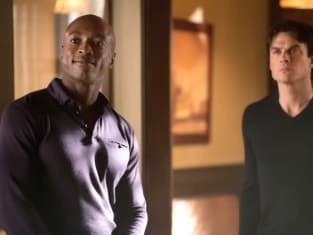 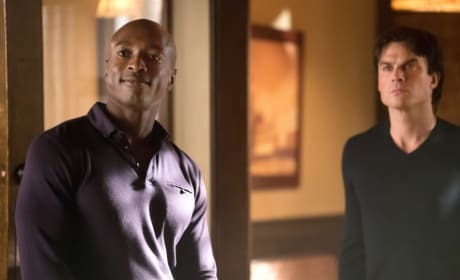 Cade and Damon really hate each other, but will they fight?